It was elementary you see. If the game was indeed a foot, then Dr Geoff and I would have no choice but to question each and every single appendage in the greater London area. As I unfortunately found out later, not only were my investigative techniques, flawed, stupid and illogical, but also illegal as the local rozzers knicked me. 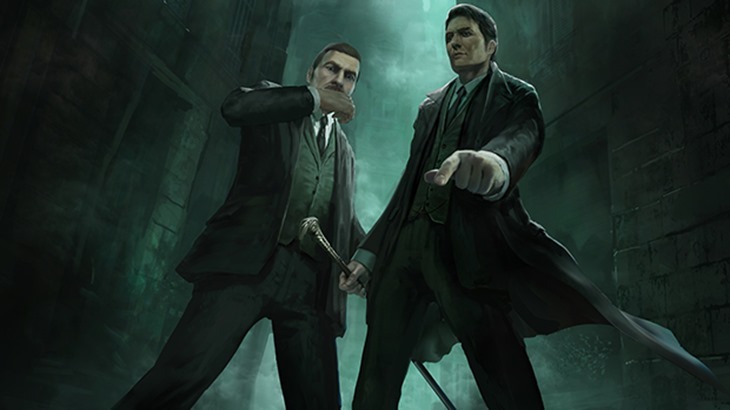 If you really, really enjoy flaunting your intelligence, there is no finer game series out there than Sherlock Holmes. That’s a bunch of games where your greatest asset is your mind. And in the latest game in that franchise, Sherlock Holmes: Crime And Punishments, you’ll also need to have an eye for detail when you interrogate suspects. Also, perhaps, a mind palace. Yes, that would most certainly help. Re-evaluating clues gained from interrogations, physical evidence, observations and crime-scenes will unlock further paths of deduction, and lead to more clues and dialogue options. During interrogation scenes, you’ll be able to interject, and support your argument by selecting the piece of evidence that supports your case. Successfully doing so will leave the suspect astounded, and they’ll soon crumble in the face of Holmes’ skills, and your wits, eventually revealing more information about the case. Judging by your sweaty palms, the circular indentation on your right thumb, the faint dusty trail of Cheetos on your left hand and the fact that you aren’t wearing any pants, I’d say that you’re in the mood to play another mystery game. The game is out on September 30 on PC, Xbox 360, Xbox One, PlayStation 3 and PlayStation 4. If you’re wondering why it looks much, much better than previous instalments, thank the Unreal engine for that visual upgrade. Which will most likely result in the mother of all authentically creepy games of having Watson follow you everywhere. Previous article These new DOCTOR WHO clips and images take us into the Dalek! Next article FFD: What’s the next big gaming trend?